Choosing and financing your next vehicle can be a stressful process, but it doesn’t have to be. Thanks to the rotating selection of Volkswagen specials at our dealership, you can find a Volkswagen Passat, Atlas, or Jetta (in your favorite color) for a price that won’t hurt your budget. If you have any questions about our Volkswagen incentives or our new vehicle inventory, or just want to check out the interior of the new Volkswagen Tiguan, we’ll be here for you. Reach out to our team at your convenience, or stop by our dealership near Oakville. $4,000 off MSRP! 2019 Volkswagen Jetta FWD SEL Silk 8-Speed Automatic with Tiptronic 1.4L TSI WE MAKE IT EASY! Transparency = Hassle-free buying. "Everyone's Discount" Price includes destination. Our one & only fee is our $199 Admin fee that every local dealer has. Price may be in lieu of special APR, or require financing through VW Credit. Price excludes tax, title & licensing. Don't be fouled by our competitors old car sales tactic with bogus "trade-in incentives". Conditional Incentives:College Grad, VW Business Partner & Military & First Responders. 30/40 City/Highway MPG No Charge: Lifetime Power-train loyalty program with $0 Deductible good at all ASE certified shop, 3 year Interior/Exterior warranty, Free Service loaners and shuttles for life. Call now or print this page and come in see any one of our VW Master Certified sales associates. All new vehicles come with our Lifetime Power Train Loyalty Program excluding Nissan GT-R and Nissan Leaf. Picture may not represent actual vehicle. Price varies based on in stock availability, trim levels, dealer installed options and accessories. All prices include all available Nissan incentives and rebates and may require Nissan Financing. Excludes tax, doc fees, license, title and destination charges. Occasionally pricing errors may occur and upon notification we will correct such errors. $4,000 off MSRP! 2019 Volkswagen Jetta FWD SEL Premium Platinum Gray Metallic Home of the Lifetime powertrain loyalty program!. 8-Speed Automatic with Tiptronic 1.4L TSI WE MAKE IT EASY! Transparency = Hassle-free buying. "Everyone's Discount" Price includes destination. Our one & only fee is our $199 Admin fee that every local dealer has. Price may be in lieu of special APR, or require financing through VW Credit. Price excludes tax, title & licensing. Don't be fouled by our competitors old car sales tactic with bogus "trade-in incentives". Conditional Incentives:College Grad, VW Business Partner & Military & First Responders. 30/40 City/Highway MPG No Charge: Lifetime Power-train loyalty program with $0 Deductible good at all ASE certified shop, 3 year Interior/Exterior warranty, Free Service loaners and shuttles for life. Call now or print this page and come in see any one of our VW Master Certified sales associates. All new vehicles come with our Lifetime Power Train Loyalty Program excluding Nissan GT-R and Nissan Leaf. Picture may not represent actual vehicle. Price varies based on in stock availability, trim levels, dealer installed options and accessories. All prices include all available Nissan incentives and rebates and may require Nissan Financing. Excludes tax, doc fees, license, title and destination charges. Occasionally pricing errors may occur and upon notification we will correct such errors. $4,000 off MSRP! 2019 Volkswagen Golf GTI FWD 2.0T S Deep Black 7-Speed DSG Automatic with Tiptronic 2.0L TSI DOHC WE MAKE IT EASY! Transparency = Hassle-free buying. "Everyone's Discount" Price includes destination. Our one & only fee is our $199 Admin fee that every local dealer has. Price may be in lieu of special APR, or require financing through VW Credit. Price excludes tax, title & licensing. Don't be fouled by our competitors old car sales tactic with bogus "trade-in incentives". Conditional Incentives:College Grad, VW Business Partner & Military & First Responders. 25/31 City/Highway MPG No Charge: Lifetime Power-train loyalty program with $0 Deductible good at all ASE certified shop, 3 year Interior/Exterior warranty, Free Service loaners and shuttles for life. Call now or print this page and come in see any one of our VW Master Certified sales associates. All new vehicles come with our Lifetime Power Train Loyalty Program excluding Nissan GT-R and Nissan Leaf. Picture may not represent actual vehicle. Price varies based on in stock availability, trim levels, dealer installed options and accessories. All prices include all available Nissan incentives and rebates and may require Nissan Financing. Excludes tax, doc fees, license, title and destination charges. Occasionally pricing errors may occur and upon notification we will correct such errors. $5,250 off MSRP! 2019 Volkswagen Atlas FWD SE Blue Metallic w/Technology 8-Speed Automatic with Tiptronic 3.6L V6 WE MAKE IT EASY! Transparency = Hassle-free buying. "Everyone's Discount" Price includes destination. Our one & only fee is our $199 Admin fee that every local dealer has. Price may be in lieu of special APR, or require financing through VW Credit. Price excludes tax, title & licensing. Don't be fouled by our competitors old car sales tactic with bogus "trade-in incentives". Conditional Incentives:College Grad, VW Business Partner & Military & First Responders. No Charge: Lifetime Power-train loyalty program with $0 Deductible good at all ASE certified shop, 3 year Interior/Exterior warranty, Free Service loaners and shuttles for life. Call now or print this page and come in see any one of our VW Master Certified sales associates. All new vehicles come with our Lifetime Power Train Loyalty Program excluding Nissan GT-R and Nissan Leaf. Picture may not represent actual vehicle. Price varies based on in stock availability, trim levels, dealer installed options and accessories. All prices include all available Nissan incentives and rebates and may require Nissan Financing. Excludes tax, doc fees, license, title and destination charges. Occasionally pricing errors may occur and upon notification we will correct such errors. $4,750 off MSRP! 2019 Volkswagen Atlas AWD SE Platinum Gray Metallic Home of the Lifetime powertrain loyalty program!. w/Technology and 4Motion 8-Speed Automatic with Tiptronic 3.6L V6 WE MAKE IT EASY! Transparency = Hassle-free buying. "Everyone's Discount" Price includes destination. Our one & only fee is our $199 Admin fee that every local dealer has. Price may be in lieu of special APR, or require financing through VW Credit. Price excludes tax, title & licensing. Don't be fouled by our competitors old car sales tactic with bogus "trade-in incentives". Conditional Incentives:College Grad, VW Business Partner & Military & First Responders. No Charge: Lifetime Power-train loyalty program with $0 Deductible good at all ASE certified shop, 3 year Interior/Exterior warranty, Free Service loaners and shuttles for life. Call now or print this page and come in see any one of our VW Master Certified sales associates. All new vehicles come with our Lifetime Power Train Loyalty Program excluding Nissan GT-R and Nissan Leaf. Picture may not represent actual vehicle. Price varies based on in stock availability, trim levels, dealer installed options and accessories. All prices include all available Nissan incentives and rebates and may require Nissan Financing. Excludes tax, doc fees, license, title and destination charges. Occasionally pricing errors may occur and upon notification we will correct such errors. $5,250 off MSRP! 2019 Volkswagen Atlas AWD SE Blue Metallic w/Technology and 4Motion 8-Speed Automatic with Tiptronic 3.6L V6 WE MAKE IT EASY! Transparency = Hassle-free buying. "Everyone's Discount" Price includes destination. Our one & only fee is our $199 Admin fee that every local dealer has. Price may be in lieu of special APR, or require financing through VW Credit. Price excludes tax, title & licensing. Don't be fouled by our competitors old car sales tactic with bogus "trade-in incentives". Conditional Incentives:College Grad, VW Business Partner & Military & First Responders. No Charge: Lifetime Power-train loyalty program with $0 Deductible good at all ASE certified shop, 3 year Interior/Exterior warranty, Free Service loaners and shuttles for life. Call now or print this page and come in see any one of our VW Master Certified sales associates. All new vehicles come with our Lifetime Power Train Loyalty Program excluding Nissan GT-R and Nissan Leaf. Picture may not represent actual vehicle. Price varies based on in stock availability, trim levels, dealer installed options and accessories. All prices include all available Nissan incentives and rebates and may require Nissan Financing. Excludes tax, doc fees, license, title and destination charges. Occasionally pricing errors may occur and upon notification we will correct such errors. $6,000 off MSRP! 2019 Volkswagen Atlas AWD SEL Pure White 4Motion 8-Speed Automatic with Tiptronic 3.6L V6 WE MAKE IT EASY! Transparency = Hassle-free buying. "Everyone's Discount" Price includes destination. Our one & only fee is our $199 Admin fee that every local dealer has. Price may be in lieu of special APR, or require financing through VW Credit. Price excludes tax, title & licensing. Don't be fouled by our competitors old car sales tactic with bogus "trade-in incentives". Conditional Incentives:College Grad, VW Business Partner & Military & First Responders. No Charge: Lifetime Power-train loyalty program with $0 Deductible good at all ASE certified shop, 3 year Interior/Exterior warranty, Free Service loaners and shuttles for life. Call now or print this page and come in see any one of our VW Master Certified sales associates. All new vehicles come with our Lifetime Power Train Loyalty Program excluding Nissan GT-R and Nissan Leaf. Picture may not represent actual vehicle. Price varies based on in stock availability, trim levels, dealer installed options and accessories. All prices include all available Nissan incentives and rebates and may require Nissan Financing. Excludes tax, doc fees, license, title and destination charges. Occasionally pricing errors may occur and upon notification we will correct such errors. $5,500 off MSRP! 2019 Volkswagen Atlas AWD SEL Reflex Silver Metallic 4Motion 8-Speed Automatic with Tiptronic 3.6L V6 WE MAKE IT EASY! Transparency = Hassle-free buying. "Everyone's Discount" Price includes destination. Our one & only fee is our $199 Admin fee that every local dealer has. Price may be in lieu of special APR, or require financing through VW Credit. Price excludes tax, title & licensing. Don't be fouled by our competitors old car sales tactic with bogus "trade-in incentives". Conditional Incentives:College Grad, VW Business Partner & Military & First Responders. No Charge: Lifetime Power-train loyalty program with $0 Deductible good at all ASE certified shop, 3 year Interior/Exterior warranty, Free Service loaners and shuttles for life. Call now or print this page and come in see any one of our VW Master Certified sales associates. All new vehicles come with our Lifetime Power Train Loyalty Program excluding Nissan GT-R and Nissan Leaf. Picture may not represent actual vehicle. Price varies based on in stock availability, trim levels, dealer installed options and accessories. All prices include all available Nissan incentives and rebates and may require Nissan Financing. Excludes tax, doc fees, license, title and destination charges. Occasionally pricing errors may occur and upon notification we will correct such errors. 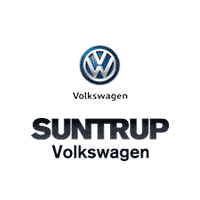 After you’ve taken a look at our new vehicle specials online, it’s time to visit Suntrup Volkswagen in St. Louis to see them in person, or even take one for a test drive. Our team is standing by, ready to take you through the car-buying process step-by-step, to ensure you get the new Volkswagen you want at a price you love. Feel free to apply for financing in advance or estimate your monthly payments with our auto finance calculator!